It just feels like it takes me so stinkin' long to process photos and write posts, and in the meantime, a family's gotta eat! And this here's good eatin'. It's my favorite kind of summertime meal too, just a few ingredients that I almost always have around, adaptable to the use of garden vegetables, and quick to prepare on the stovetop. Are the beans considered refried? I don't really even know. But they're beans. Yummy black ones that you can eat! Read on for my very official and scientific directions. In a large skillet, fry bacon until crispy and chorizo until cooked through (if you're using them--they add great flavor). Saute onion, green chilis, and garlic in bacon fat (or in some oil, if you're going the meat-free route) until onion is soft and translucent. Add the beans, drained and rinsed, salt, sugar, cumin, and chili powder. 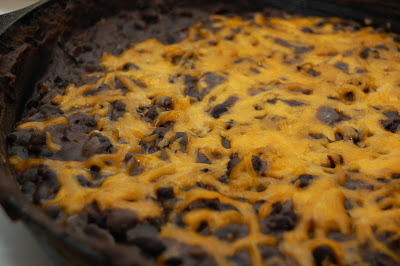 Cook about 15 minutes, stirring occasionally and mashing about 1/2 of the beans with the back of spoon as you cook. Add the lime juice near the end of the cooking time. If beans dry out, you can always add a little more oil. Just before serving, I like to sprinkle the top of the beans with a handful of cheddar cheese. Saute onion and garlic in a few tablespoons of oil until onion is soft and translucent. 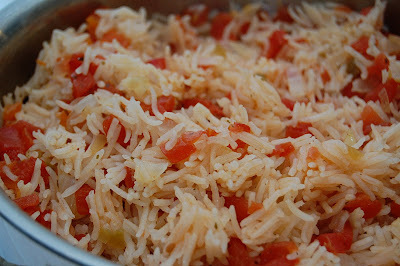 Add rice and fry, stirring constantly, for 1 minute. Add tomatoes with their liquid and water or broth (broth preferred), and bring to a boil. Reduce to a simmer and cook rice as usual, or as directed on package. Fluff with a fork, season with salt and pepper if desired and serve. I might actually try this recipe for your fried rice!! 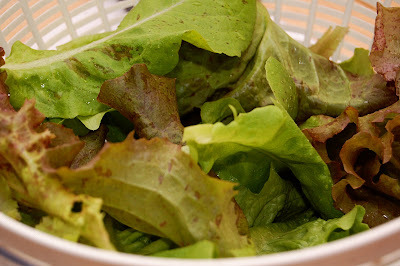 (I usually don't like it fried) oooh and your greens look fabulous!! ours succumbed to a fungus gnat infestation :( Oh! And just a tip that I've started using- if you drain the beans first and rinse them, it reduces the sodium up to 40%! I just replace the "bean juice" with plain ol' water in my recipes, and I haven't noticed a difference in taste at all (except perhaps a little less salty)! This looks so good. 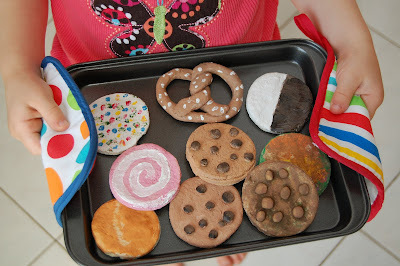 I'm having a recipe only link party "Cast Party Wednesday". This would be a perfect addition to my party. I would love it if you came by and shared some of your recipes with us. 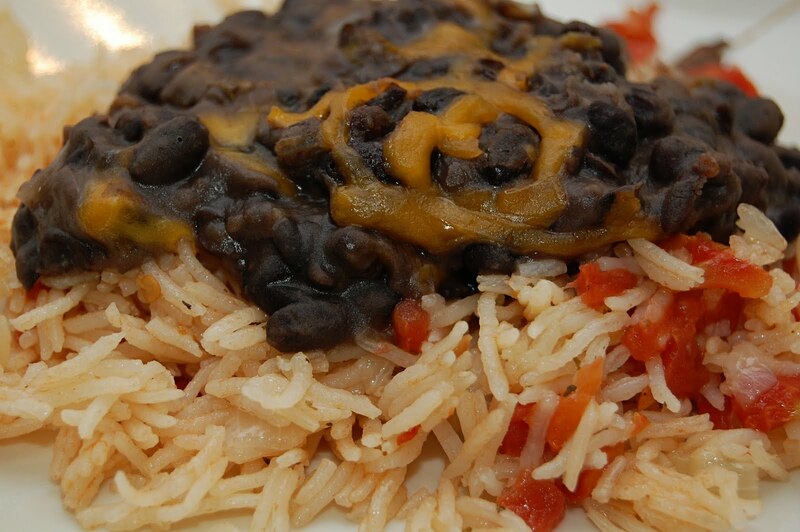 Your Black Beans and Mexican Rice would be a big hit with our group. I just love your combination of flavor, it is a great recipe! Thank you so much for sharing with Full Plate Thursday and sure hope to see you again real soon! Hi, I wanted to thank you for visiting Cast Party Wednesday last week. I would love it if came back tomorrow and shared more of your recipes with me.